Making sure that the water your family drinks, cooks with and bathes with is of the highest quality should be one of your main concerns. The quality of the water that you consume plays a large role in your overall health and well-being. A water filtration system installed in your home is a great investment in the health of those that mean the most to you. Shielding your family from harmful toxins and chemicals found in tap water supplies is possible with the installation of a whole home water filtration system. The benefits that you get access to with the installation of a water filtration system are well worth the initial cost investment. Keeping your family safe and their health as your number one priority should always be your main goal. Did you know that the look and feel of your hair says a lot about your health? Silky and shiny hair that is strong equates to good health. However, typical tap water is filled with chemicals that can damage your hair. Many water companies treat their water supply with chlorine, which can turn your hair rough and brittle. However, a water filtration system can remove chlorine and allow your hair to look healthier than ever before. The look of your skin is another sign of your overall health. You might not realize it, but bathing and showing in water that is filled with chlorine can have a huge impact on the appearance of your skin and your body. When you shower or bathe with hot water your pores are opened. This means that all of the toxins contained in the water you are bathing with can get access into your body. This can lead to not only digestive problems, but also potential risk of some forms of cancer. This doesn’t even take into account that your skin can also become dry and itchy due to eth chlorine exposure. A water filtration system can remove these toxins and the health risks that you are exposed to. It is much more costly in the long run to allow your body to continually absorb these chemicals and toxins. 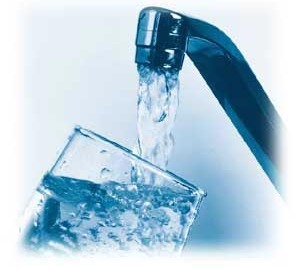 A water filtration system can make a world of difference to your overall health. Your appearance will also benefit as a result. What more could you ask for?